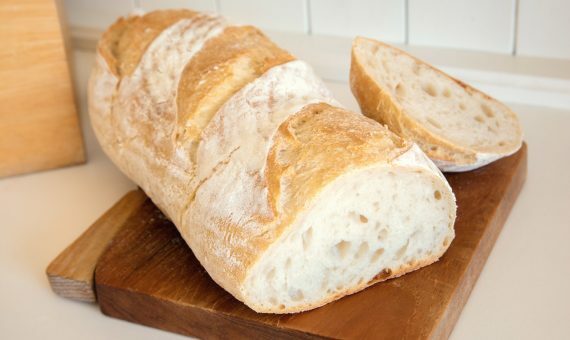 Raised entirely with a natural wheat levain, this loaf contains only the finest organic white bread flour, plus some salt and water. 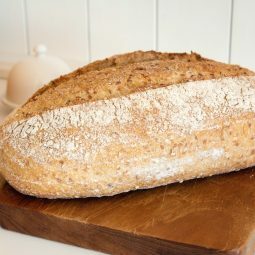 The golden-brown crusty exterior leads to a wonderfully-open translucent white crumb, indicative of a well-fermented loaf of bread. 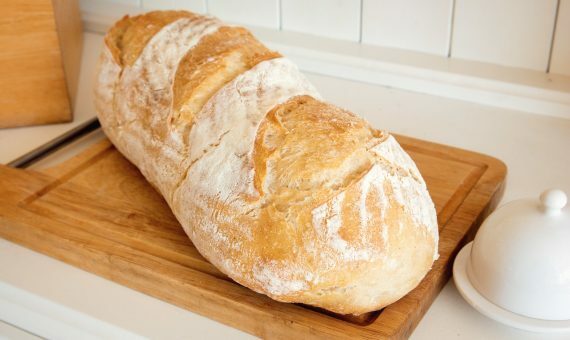 It is available as an 800g loaf, in an oblong shape, and is baked directly on the sole of the oven to achieve the true character of this type of bread. 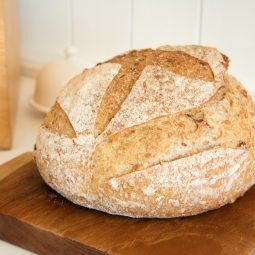 Smoked bacon for the perfect butty, or simply toasted with with lots of butter. 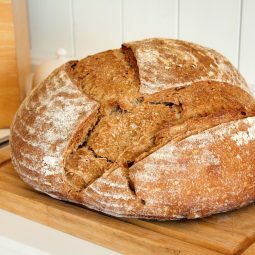 A very natural way to bake bread, the levain method has been used since the 1600’s.